Today I'll share with you all how you can share your websites, blogs, RSS Feeds with all the major search engines. So there you are, working so hard on setting up your website or blog, you've worked on SEO, keyword density, good content, but much to your amazement, the Big Bosses aren't still indexing your website. Don't feel defeated yet, I have a way by which you can ping your website to these search engines. BOOKMARK THIS PAGE RIGHT NOW, if you want to save your time. If your website or blog has a sitemap, then you can ping its URL to these search engines. This is one of the basic ways to let these engines know that your website has some updated content. Now even if you ping these, there's no guarantee till when their crawler will scan your website and index it, but it's still letting them know that you're ready with some awesome changes to your website or blog. Search engines such as Google, Baidu (popular in China), Bing or Yandex (popular in Russia) might not automatically crawl your website, so this is one of the best ways to 'ping' them about your website's sitemap. You just need to replace my sitemap with your website's or blog's sitemap and that's it. 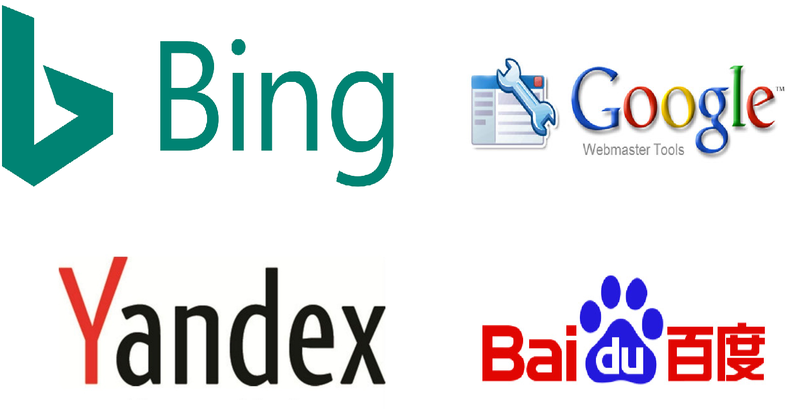 It will be pinged to these search engines automatically. DuckDuckGo doesn't have a dedicated webmaster tools like Google has, but it claims to scan the pages indexed by these search engines itself, so you can do little in this area. If your website or blog is indexed in the above search engines, then surely you can hope that DuckDuckGo will also index it soon. Make sure that you comment below if this post helped you. I'll keep on sharing more such Blogger tips and posts with you, because what's a better way to learn something new than teaching it yourself? ©2013-2019 Coding Bot | Author: Piyush Chugh | All Rights Reserved.